MILWAUKEE (WITI) -- Bandits at the burial ground! Milwaukee police say two vehicles were stolen while people mourned the loss of loved ones at Valhalla Cemetery -- near 91st and Silver Spring Drive. Both of these armed robberies took place days apart from each other. "We can no longer take things for granted," James Wilbern, manager at the nearby Silver Spring Neighborhood Center said. Wilbern said he was appalled to learn what happened recently at the Valhalla Cemetery. "You know, that`s tragic. It`s unfortunate that things like that happen in our community," Wilbern said. Investigators say an armed robbery took place in broad daylight on Sunday afternoon, November 27th. According to police, two suspects armed with a stun gun approached a man in the cemetery as he was placing a wreath on a loved one's tombstone. Police say the suspects took the man's keys and car. "Pay attention. Look over your shoulder. Make sure you lock your vehicles," Wilbern said. Wilbern said his center offers programs for kids, adults and the elderly. He said in a neighborhood filled with good people, car thefts have become an all-too-regular occurrence. "We have had some break-ins around the center," Wilbern said. Just 10 days prior to Sunday's incident, police say another armed robbery took place at the same cemetery -- at noon! Investigators say a suspect implied he had a weapon and demanded the victim's keys -- taking off with their car. In this case, police were able to recover the vehicle. "Be very sure of your surroundings and if something doesn`t feel right, it`s probably not," Wilbern said. Police say they're trying to determine whether these incidents are connected. There are no suspects in custody. 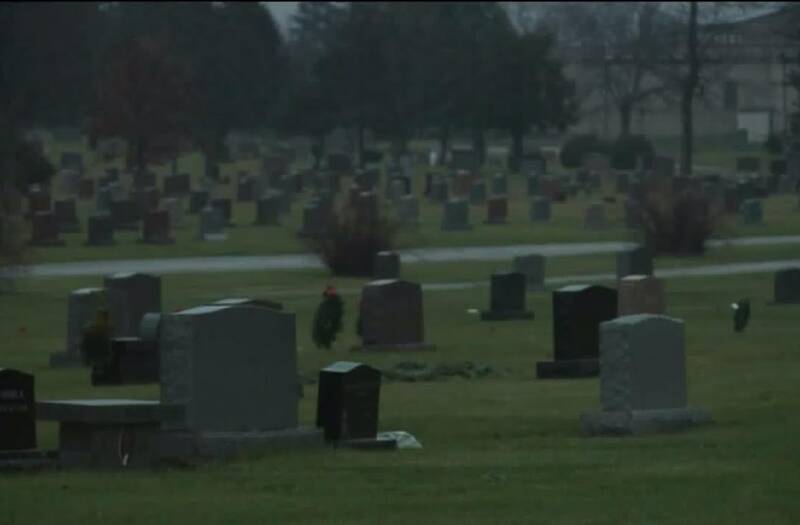 FOX6 News reached out to managers at the cemetery, but didn't hear back.